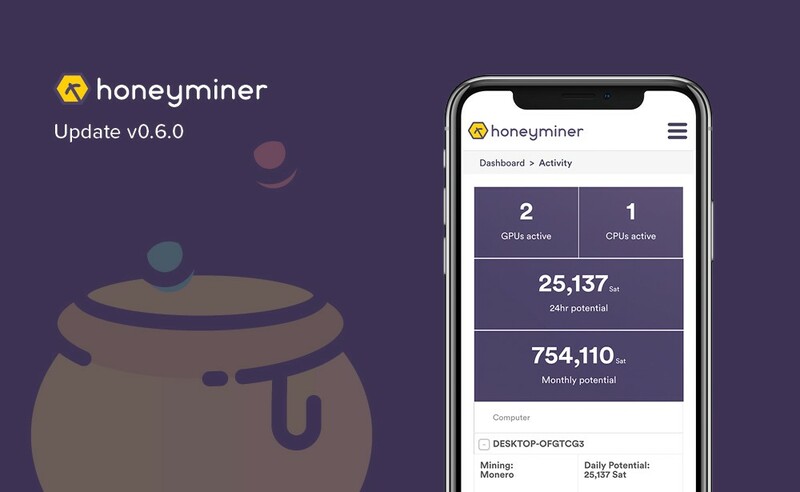 After many months of hard work we’re excited to share the latest update to Honeyminer — Version 0.6.0. 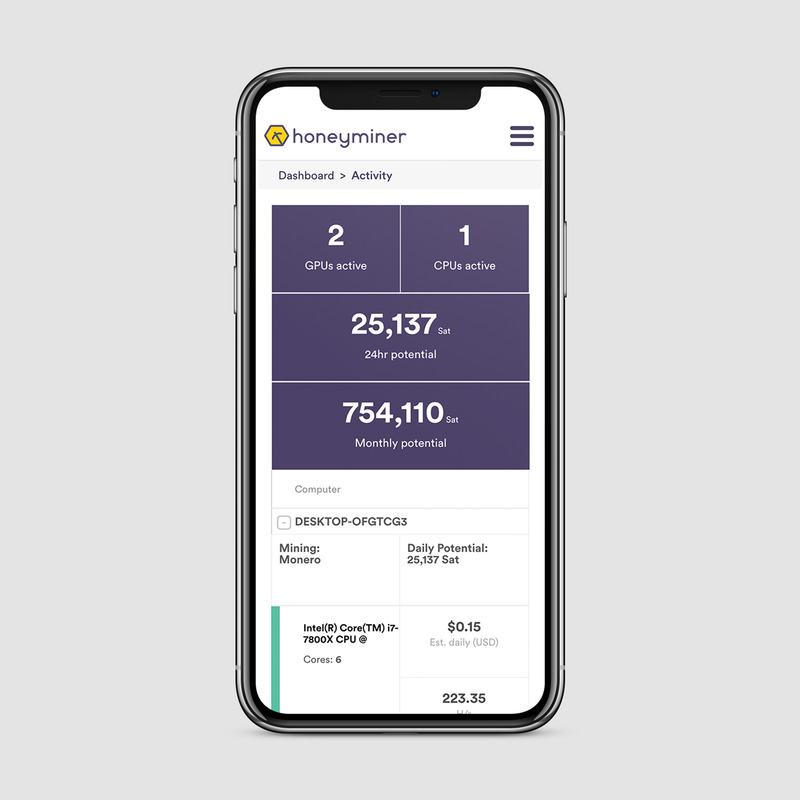 The Honeyminer product is driven by our thriving community. We build to make your experience as seamless as possible. You’ll now be able to track your mining activity from anywhere, including your laptop, tablet and phone. We’ve enhanced our activity page, so it’s easier to understand why you’re earning what you’re earning. We’ve increased the GPUs we support including the newest NVIDIA GPUs and drivers, such as the brand new 2080 line. We’ve also significantly extended our compatibility with older (legacy) GPUs to help get everyone mining. We’ve continued to refine our settings, based on your exact GPU, to make sure you are always mining the most profitable coin available. We’ve made our updates process significantly simpler, so that we can continue to maximize your profits and get you the latest and greatest. And last, but not least, we’ve changed our estimates to be shown in Satoshis — this will increase accuracy and predictability. As always, we’re humbled to build and mine together with you — if you have specific issues on your setup, please get in touch with our team and we’ll try to get you up and running asap. If you read this far, and want to help introduce more people to mining and make our decentralized systems more secure, consider a few 👏 just below.